One of the best variety in this colour category. 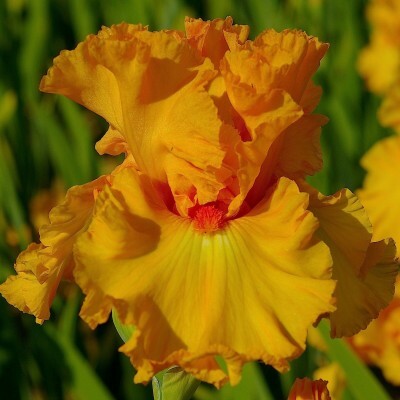 Deep orange yellow standards, slightly darker on the edges; very wide orange yellow falls with tangerine beards. Exceptional form with strong ruffles. In the case of live products, returns can not be accepted. In case of non-flowering the year after planting, contact us. 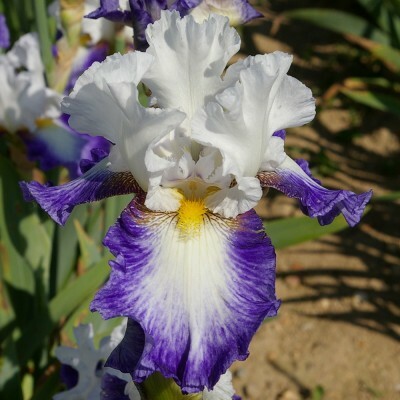 Pure white standards, white falls with a wide deep blue-violet border and discreet clear yellow beards. It has inherited its horizontal falls from its father "Deltaplane". Strongly ruffled. A real novelty, unique in our collection. Sumptuous new variety with sky blue standards and satiny dark violet falls of as surprising luminosity. The falls are paler towards the dark rusty orange beards, shouldered with amaranth. 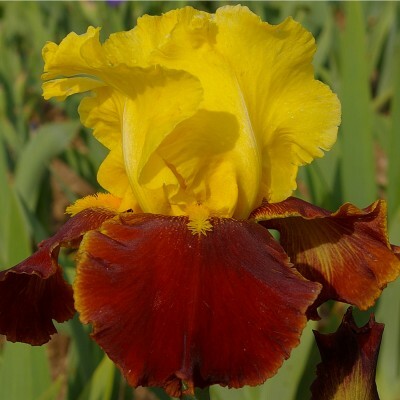 Numerous ruffled flowers, low-branched stems, excellent foliage and long flowering-in short: a nearly perfect iris that is one of our favourites. As warm as the south of Spain: bright and pure yellow standards and velvety red falls. Extremely clean contrast and exceptionally vigourous. RHS Award of Garden Merit 2006. Cheerful and excellent plicata with garnet red standards and a yellow background on falls widely edged with garnet red. 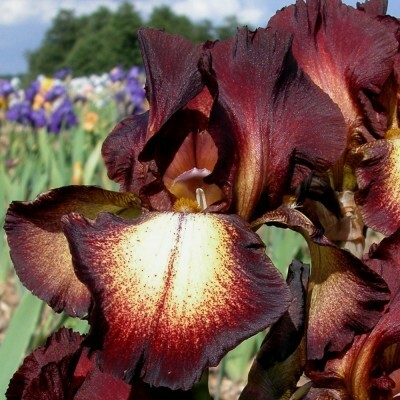 Prolific grower and classical shape. 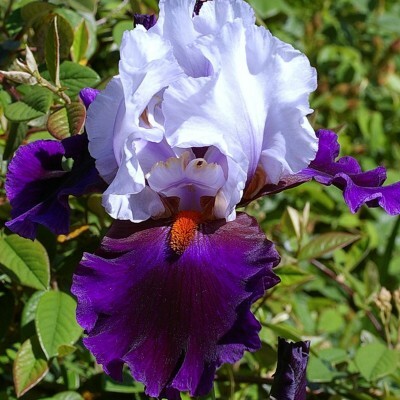 Awarded "Iris of the Millenium" at Franciris 2000. Don't hesitate to get in touch with us, we are here to help.